Shot this Coyote shot in Fishcreek park in Calgary. Was able to slowly and calmly approach him and get quite close. He seemed at ease with my presents and was not threatened by me at all. I managed to get close enough to get this nice side turned front view. His natural colours and tones of his full winter coat blended perfectly in the surroundings. So much so, that I wonder if I may not have spotted him in different circumstances. Lovely animal, and a joy to capture. 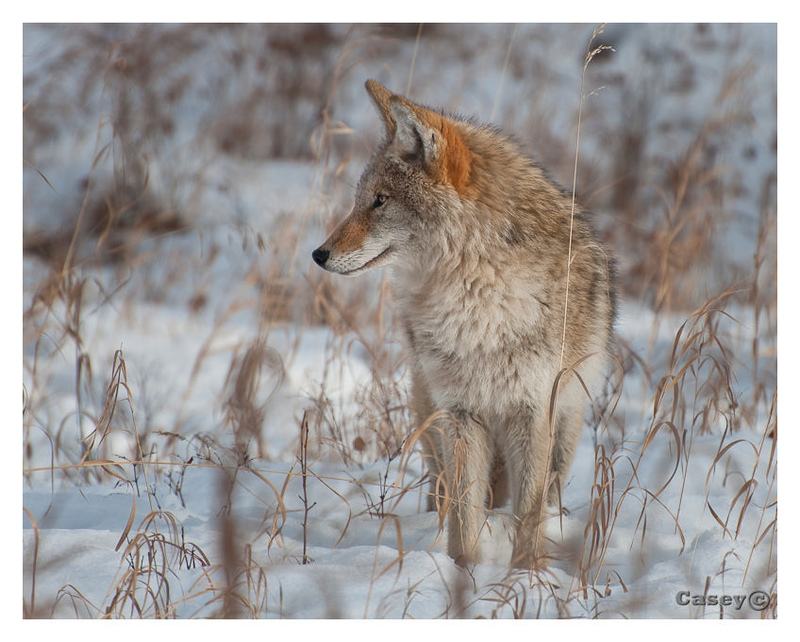 Posted in Canada, Colours, Nature, wildlifeTagged animals, blended, Calgary, camouflage, Canada, cold, colours, Coyote, element, Fishcreek Park, hidden wildlife, natural colours, Nature, snow, winter, winter coatBookmark the permalink. Nice shot of a good looking coyote Luke. would love to see the OZ version, Dingo! Thanks. I’m working on that Dingo shot. There isn’t too many near where I am, but I have some good leads on high volume Dingo areas.